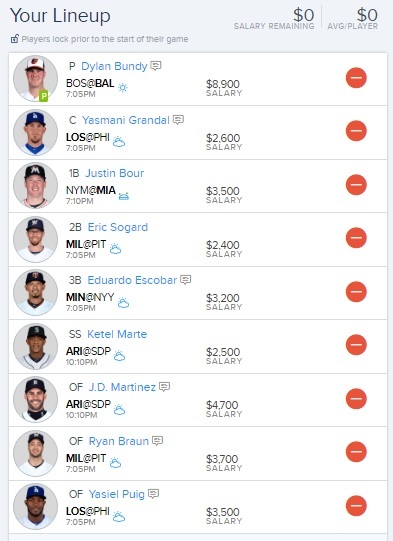 Fantasy Leagues - Page 282 of 438 - Home of free fantasy sports lineups! 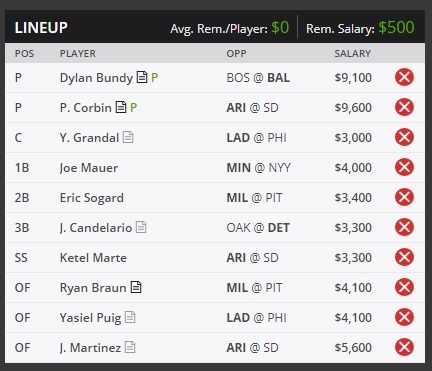 Dylan Bundy and Patrick Corbin are both solid options tonight and should have quality starts. My value pick is Joe Mauer, he continues to be a solid play each day. My sleeper pick is Yasiel Puig, great pitching match up. Need More Fantasy Football Lineups? Sign Up For A Pro-Membership Now! Dylan Bundy has a great match up tonight and should do well at home. My sleeper pick is Justin Bour against the Mets. My value pick is Ryan Braun.